Cholera is a bacterial infection of the small intestine caused by contaminated food and water which leads to vomiting and diarrhea. 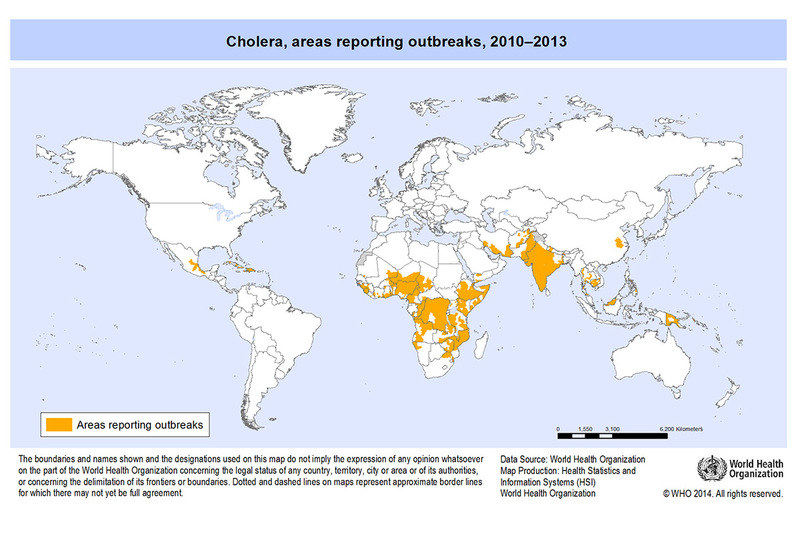 Countries at risk Cholera occurs in countries where there is poor sanitation and hygiene. It occurs in areas where there is a limited access to clean water and food and higher rates occur in places of natural disasters. Initial symptoms occur 1-5 days after ingesting the bacteria. Symptoms include severe water diarrhoea,nausea and vomiting and stomach cramps. The cholera vaccine consists of two doses over a 1-6 week period which gives protection for up to two years. The cholera vaccine is a drink that must be drunk on an empty stomach meaning no food or drink (including water) should be ingested an hour before or after the vaccine. The cholera vaccine reduces travelers diarrhoea by 50% and is therefore a big factor in many travellers receiving the vaccination even if they are not heading into a high risk cholera zone.